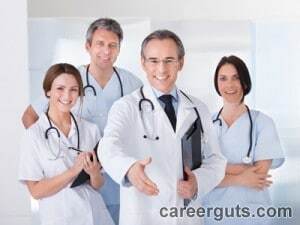 Welcome to careerguts.com – your one stop database for learning how to start your career as a physician assistant. We are here for you from the beginning of your first semester at a school to your jump into the job market. For easy accessibility, all databases are divided by state. Click on your state to find more information on how to become a physician assistant, including info on local masters programs, work and certification requirements and more. Are you a registered nurse or a paramedic who has decided to take the next step in your career? We are here to help guide you through the process of becoming a physician assistant. Physician assistants practice medicine under the direction of physicians and surgeons. They are trained to examine patients, diagnose injuries and illnesses, and they can provide some treatment. A great physician assistant is compassionate, detailed oriented and emotionally stable. Getting a bachelor’s degree is the first step to becoming a physician assistant. You can major in nursing, emergency medical training or any related field. Then, you must complete a two-year accredited educational program for physician assistants. 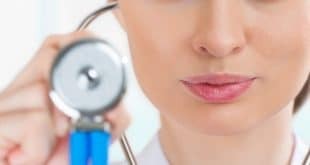 At careerguts.com, we are here to provide you with a detailed directory of the 165 allied health, academic health centers and medical colleges that offer a masters program for physician assistants. A Physicians Assistant education includes both classroom and laboratory instructions. Some of the courses include pathology, physiology, clinical medicine, human anatomy, physical diagnosis and medical ethics. Programs include surprised clinical training in various forms of medicine such a family medicine, internal medicine, and emergency medicine. If you have already received your masters, follow our guide on how to acquire the right state licenses. Click your state below to find more information on how to become a Physician Assistant, including information on PA schools, work & certification requirements, salaries and more.